These templates are provided to assist you with developing a clear description of your project or service contract details. The Scope of Work template provides numerous prompts that will help your team formulate what needs to be accomplished from the project. If you are unsure about certain aspects of your SOW, issuing a Request for Needs (RFN) to the industry can assist in this process. Our white paper on the SOW development process provides additional detail. Also, be sure to share the budget as part of your scope of work! The RFPs we use today are often borrowed from our friends or found online. We analyzed hundreds of RFPs from a variety of owners, and there is a common theme. 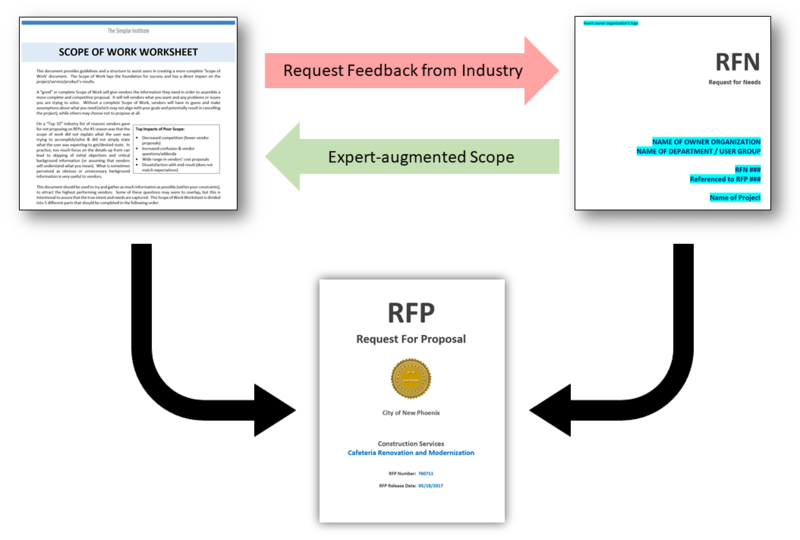 If you want to improve your RFP, follow these five recommendations. Compete Expertise in the selection process. Stop collecting “marketing information” (i.e., resumes), and instead ask the proposers to focus on Risk, Mitigation Strategies, and any Value Added ideas they may. Eliminate company names, personnel names, letterhead, and other identifying information from the written evaluated proposals. This makes the process fair, encourages more competition, and ultimately minimizes bias. The most successful projects are because of a great “team of people”. Evaluate the contractor’s proposed key project personnel in the interview process: project managers, key operations managers, site personnel, and others. Require that the evaluated portions of the proposal is limited to 6 pages or less! This is true for small or large projects! Implement a structured, project clarification phase BEFORE you sign the contract! The white paper on the XPD Process provides further insights on how you can the process in your organization.